Mote’s mission emphasizes producing accurate, scientific information to support conservation and sustainable use of marine and coastal biodiversity, healthy habitats and natural resources. 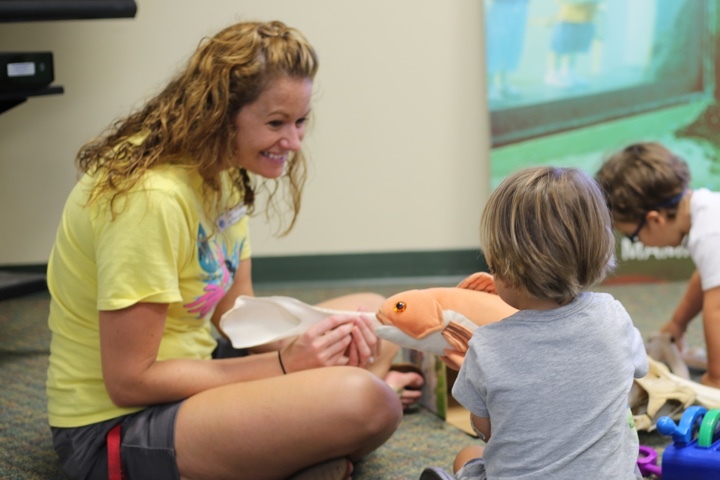 Mote’s new Science Education Aquarium expands on this legacy, allowing future ocean leaders to discover their passion for marine science and conservation. Renderings provided by CambridgeSeven and subject to change. Guests will have the opportunity to immerse themselves in marine research, essentially becoming a scientist for the day. Mote’s unique and longstanding history of scientific excellence, and effective translation and transference of science for public benefit, will flourish and shine at our new Mote Science Education Aquarium. Perhaps most importantly, the new Science Education Aquarium will grow our award-winning, informal science education programs. 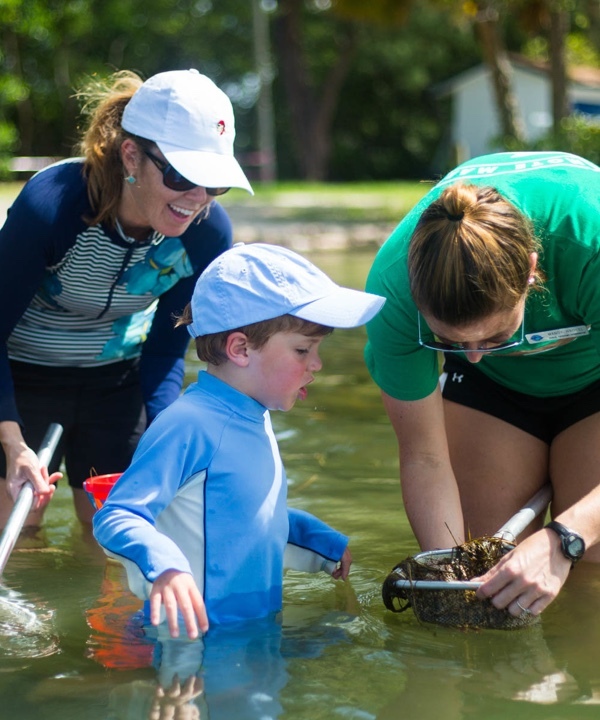 From pre-K children to retired adults, from family-focused education programs to National Science Foundation-supported research internships and teacher professional development workshops, Mote tailors marine science education for myriad audiences at every stage of life. 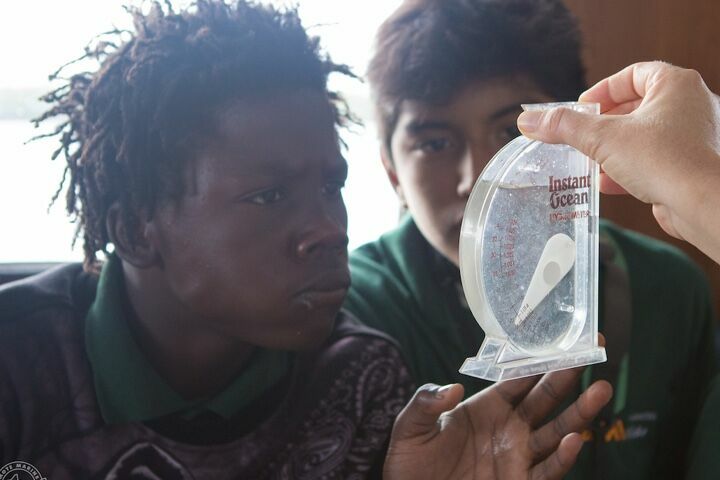 Mote will expand education access and participation of learners from populations that are underserved or underrepresented in marine science and technology. 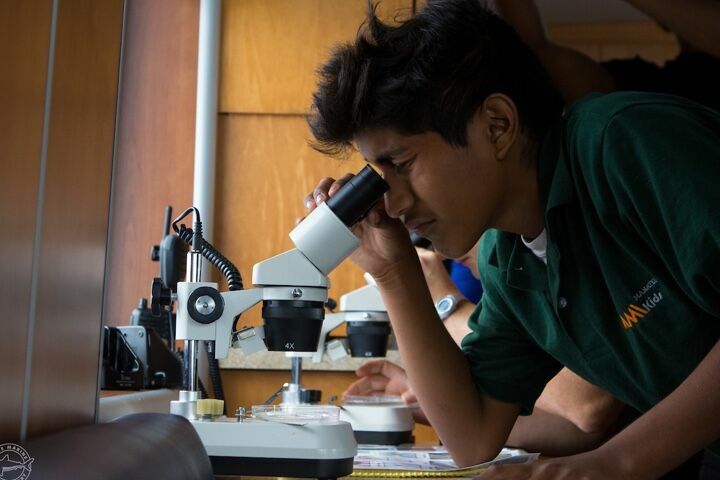 Whether we’re encouraging girls to excel in scientific fields, involving at-risk youths in ocean technology product development, or engaging local communities in volunteer citizen science projects, Mote’s Science Education Aquarium will provide hands-on marine science and technology research experience opportunities that reach far and serve all. 38,116 students attended our education programs in 2017. These numbers will more than double with the new Science Education Aquarium.